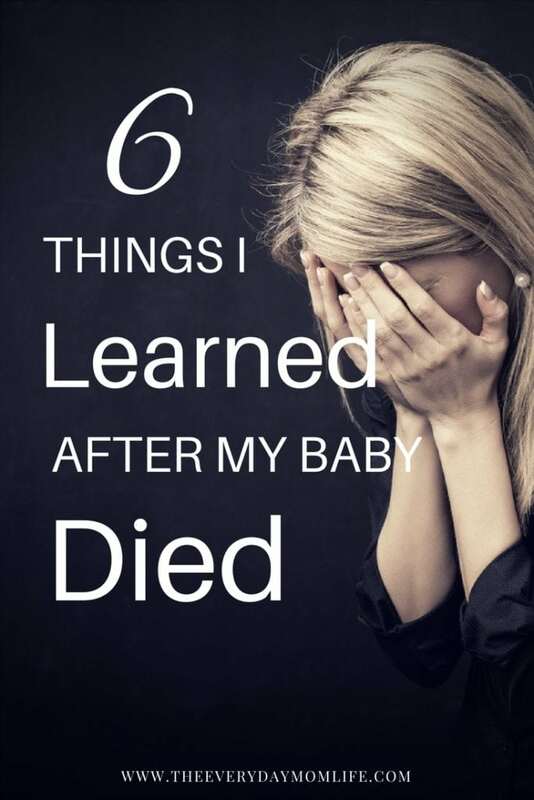 It’s been five years since my son was stillborn (seven since this article originally appeared) and in that time I have cried too many tears to count. I’ve listened to people give me their opinions – rude, kind or otherwise – I’ve changed jobs, added a few pounds and had another two children. Time is such a funny thing though. 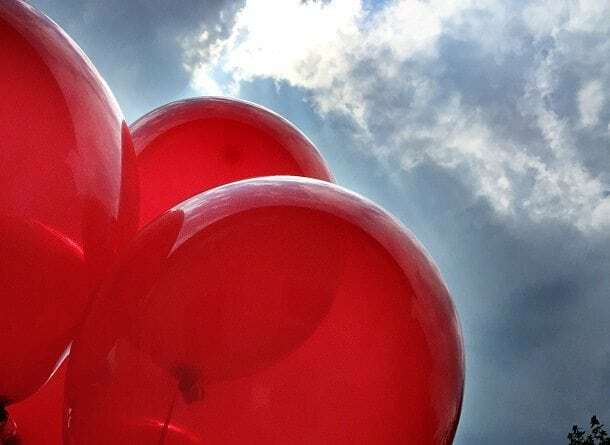 As we passed first year milestones – my birthday, his real due date, holidays – I began to let go of the actions I was taking to try and make sure he was a part of my daily life. And, I let myself believe that it was okay to do so, because after all, it was. Instead of looking for him in the things I did, I would feel him in my heart and I tucked him safely into the memories of my consciousness. I began to realize that there was no way that I could ever forget him because he shaped the person I was since the very moment I found out he was a part of me. Today, I still see his influence in the way I react to situations all around me – whether I take a moment to breathe and refocus when my children are whining and crying or when I’m dealing with a problem at work – his death puts every day in perspective. You need people who didn’t know you before the loss. You need people who remember the person you were. You need to let some people go. I had requested that no children come to the burial. There was two reasons behind this. 1. I couldn’t really deal with kids in my mental state, especially babies. 2. If you have ever attended a funeral or burial for a child, you will know they are more difficult that adult services. The coffin is tiny (I always thought my son’s looked like one of those white, Styrofoam coolers you might buy at the grocery store.) and people cry more often because instead of remembering the person’s life and their accomplishments fondly, they are focused on the dreams that will now never be reached. However, when I requested this, my friend immediately told me that she wouldn’t be able to come because she didn’t have a sitter for her 1-year-old. In my head, she didn’t even try. I mean, she worked part-time and had a nanny. Her parents lived close by and her husband worked for his own business. Surely someone could help out for an hour? I let her go. I was in so much pain, that someone who caused me more pain wasn’t worth it to me. Someone who couldn’t be bothered to even try to find alternative arrangements for their day so they could be there for me as I experienced the most difficult thing I had ever done, just wasn’t worth it. On those days, on those very hard days, when you feel like you can’t go on, take it moment by moment. In my support group, we all agreed that day-by-day was too hard in the beginning. A whole day felt like a whole lifetime with grief weighing down heavily on your soul. My aunt gave me amazing advice during the first, dark weeks that still stays with me today. “If you can’t walk, you have to crawl there,” she said. My advice to anyone early in loss is the same. On those days where you feel like you won’t make it, you can’t make it, dig your fingers in and crawl. Little by little, the crawling gets easier and one day you will find out that crawling has become so easy that you can actually take some baby steps. Years later, with two children now by my side, I have learned to run. You will be you again. This one is hard, right? On the days that you can’t even walk, there is no way you can imagine being that sunshiney, happy person those cheerleaders wish you were. This is the one that takes the longest. You can survive if you are miserable, but to actually regain some sense of self after you have lost a child takes at least the first year. You need to learn to be able to live with the trauma that has impacted your life and figure out who it makes you in the years following. Don’t rush it. Take time to go through all the phases of grief, all the steps of recovery and feel the emotions of it. I promise, if you block them out, they will come roaring back at a very inopportune moment. While you are never exactly the same again, you will be close. You will smile, you will laugh and one day when you aren’t even paying attention, you will find you again. 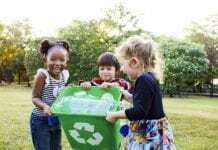 Updated: Since originally publishing this post on this website this piece been posted on the Huffington Post as well as several other sites. All content originated here at The Everyday Mom Life. Wow Rachel, this post was so raw. Thank you for sharing such a painful personal experience. Wow, thank you for the honesty. I appreciate the glimpse into your experience. I am sure you will never be the same but I am also sure that you’ve got this, Mama. I’m so sorry, mama. Thank you for sharing your story. I’m so sorry for your loss. There are no words but thank you for sharing so that others can feel they are not alone. Wow. I bet you have helped so many people by sharing your wisdom and experience. I am so sorry for your loss. I can’t even find the right words to say, but my heart is aching for your loss and in awe of your courage. Sending you so much love today. I’m so sorry for your loss. This was a beautiful post and I know will help other mamas greiving their sweet babies. My thoughts are with you. I’m so sorry for your loss and you are so strong for dealing with said loss. 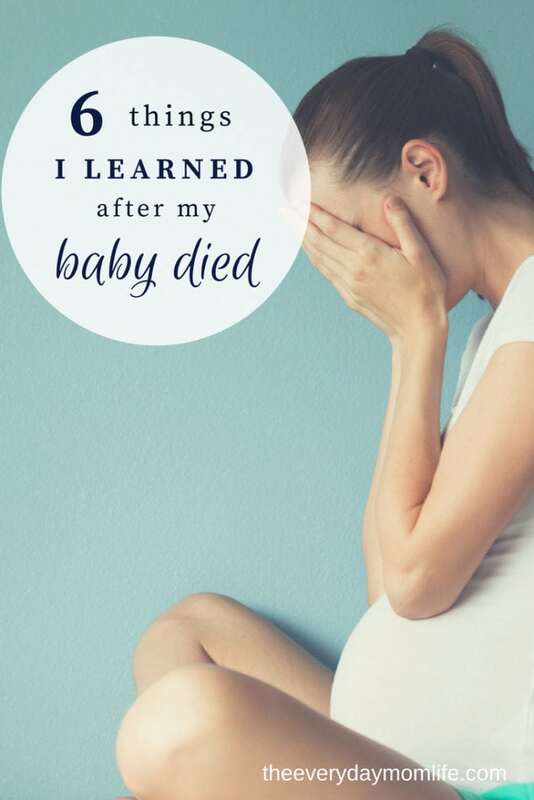 I couldn’t imagine losing a stillborn baby. I had a miscarriage last year and it was too painful. Hugs mama. I’m glad you have found some comfort and have been able to deal with this great loss. There are so many moms out there who will find comfort from this post when they need it the most. You’re so very strong and brave for sharing it. Sending love and hugs your way, love. My daughter lost a baby at birth 19 months ago. He lived about an hour. When I saw the image for this on Pinterest, it stopped me short because it could have been her. I’m so grateful to have clicked through, and to have read your story. It brings my heart so much comfort to see your journey, and to understand better what hers may look like in the next few years. Thank you so much for your honesty. I am so very sorry for your loss. I cannot imagine a loss like that. Even though I can’t fathom that loss, I can see why having people around you who didn’t know you before such a loss. There are less people saying they’re sorry for your loss all the time and trying to comfort you. I have lost loved ones – not like this – but I have, and being constantly told how sorry people are for your loss can make it so much harder. I think having people who didn’t know you before any type of trauma or life change is key. No one wants to be defined by one life experience, especially a negative one. Very tough thing to deal with. Our youngest had a life threatening health issue last fall and it was such a tough thing to deal with. Hope all is well! This is absolutely heartbreaking and while something no one wants to talk about… It needs to be spoken about so those who have experienced it do not feel alone. Powerful prose. It takes a lot to share this experience with us! That line, “you will be you again” is inspiring. I can apply that to hardships in my own life. Thanks for sharing your story! I am so sorry about your loss. I miscarried 2 babies around 13 weeks. No one understand, it’s painful and the pain never goes away. One thing I did was set up a little garden with a in loving memory decoration for those 2 babies. Hugs mama. I lost one of my best friends in college to ovarian cancer. She had just turned 21 about 6 weeks before she passed. I know it’s not the same as losing a child and I would never even think that what I feel is the same, but I also understand a little of where you are coming from. I’m glad you have found the support you need, and know that it’s ok to take all the time you need and have the quiet, reflection days that you want. There is nothing normal about what you went through, so there is no normal way to deal with it. I had a rough semester when I lost my friend, and at the time I thought about her every day. As time went on, I feel the same way you mentioned, I think about her and how she shaped me, even though we knew each other for less than a year. But she is half of the reason I even met my husband. So even though I don’t think of her specifically every day, she is always present in our lives because of who she was to my husband and me. I’,m so sorry for your loss. Thank you for sharing your experience. Such an inspiration for people in the same situation. I’m so sorry for your loss – it must have been devastating. Well done for sharing your story – I’m sure it will help others in the same situation. Although I can’t relate, there are so many women out there you are helping with this post, mama. You are so strong! Oh my goodness this is heartbreaking. Thank you for being so open and honest about how things were for you. Very good advice. We’ve walked through similar paths and it’s just not easy no matter how you look at it. Hopefully people that need this article find it at the right time. You are going such a favor to the world by sharing these tips through your heartache. I can’t even imagine losing a child. I’m so sorry. No Mother should ever have to go through something like this. I am sorry for your loss but as an angel mom as well this title is very jarring. Loosing a child is one of the most painful experiences you are endure…and it does change you. I think its important to remember that is ok to change some. Raising a child changes you too. Change is ok. I saw your IG post the other morning and it made me just stop and squeeze my baby girl ❤️ Such a wonderful tribute you do every year and I know it’s got to help in the healing process – love to you mama. Wow, I’m so sorry for your loss. This was such a vulnerable post to write and I’m sure it’ll help someone going through the same thing. This post is so full of pain and depth and real sincerity. It will help others in their grief. Much love to you and your family. Im so sorry for your loss! Thank you for sharing your experience. Thankful you have support systems that helped and continue to help you get through! I’m so sorry for your loss. Thank you so much for sharing your story. I know it will help a lot of people. I am so sorry to hear about your loss! I couldn’t even imagine having to go through a loss of a child. I have some friends that have went through this and I am sure would love reading this post! Ill have to share it with them. Yours is such a touching story. Please accept my heartfelt condolences. I hope you can fully recover from this loss. So heartbreaking! Im so sorry for your loss. I pray you find comfort.